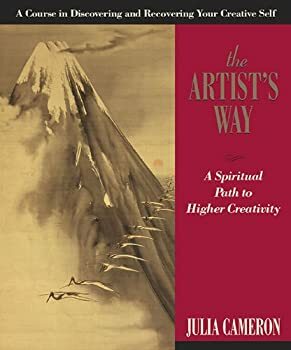 I purchased my copy of Julia Cameron’s book, The Artist’s Way, about 15 years ago. Working my way through the book was an enlightening experience, and the start of many small changes that have, over time, transformed my life. I did my Morning Pages for nearly a year after finishing the book. I have started and stopped a number of times since then. The latest lull lasted a couple of years. Then I started my Health Coach training at the Institute for Integrative Nutrition. One of the many fabulous things about IIN’s training is all the non-food-related things that support wellness. Early on in the training I was reintroduced to the Morning Pages during an awesome talk by Julia Cameron. (She is a great storyteller.) I dug out the notebook I had been using during the last round and started again. When my alarm goes off at 5:00 a.m., I am usually already awake. I sit up in bed and grab my notebook, a pen and my book light (so I don’t wake my husband). My brain gets very busy first thing, so I never struggle to think of something to write. It takes approximately 30 minutes to write three pages longhand. By the time I’m done, my mind is much quieter and I can get on my yoga mat focused on my practice. I have sorted out lots of issues in my Morning Pages and my yoga practice feels much more centered. Try the Morning Pages for a couple of weeks and see where they take you. I will be including the Morning Pages as part of my 6-month Health Coaching program. Contact me and let me know you’d like to be on the list for a free initial phone consultation during which you can find out how a Health Coach can guide you on the path to wellness.